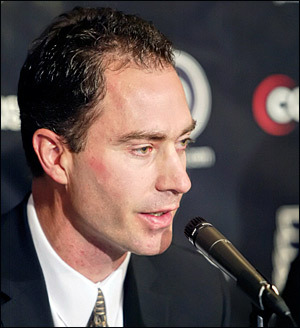 The Flyers announced this afternoon that they have dismissed head coach John Stevens. 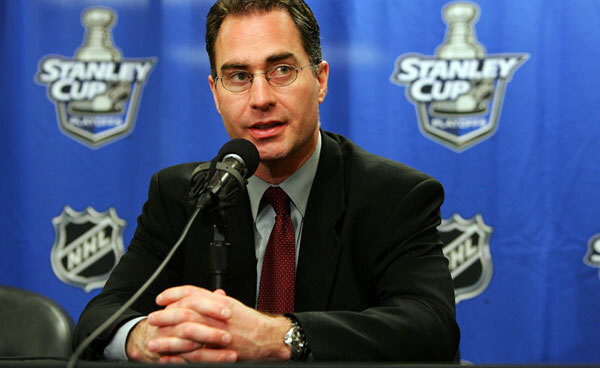 It appears that his replacement will be Peter Laviolette, to be announced at an 8:00 PM news conference. As suggested here, the Flyers’ inconsistency and lackadaisical play called for a change in coaches. I like Stevens and think he is a good coach, but he was no longer the right coach for this team. Players appeared to be too comfortable with his calm demeanor and the totally mediocre record with the talent they have became unacceptable. 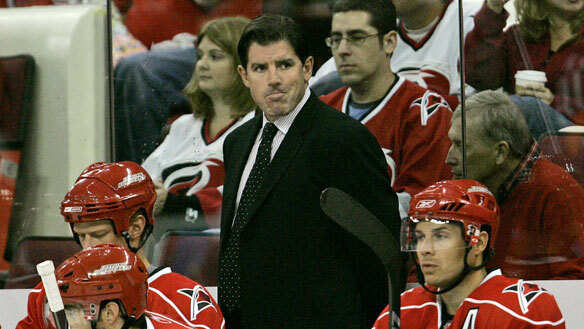 It is expected that Peter Laviolette, who coached the Carolina Hurricanes to a Stanley Cup championship in 2005-06, will take over. The U.S. born Laviolette coached the New York Islanders for two seasons (2001-02, 2002-03) before being fired and hired by the Hurricanes for the 2003-04 season. After winning the Cup the following season, Laviolette coached the ‘Canes for two more full seasons before being fired in December of 2008. Laviolette has a reputation as a no-nonsense coach and led the ‘Canes to the Cup with a free-flowing offensive style – two things this Flyers team needs. It was a good move to go outside the organization for someone with whom the players will not be too comfortable. This is a well-deserved honor for Coach Stevens. He works well with young players, displaying a calm demeanor behind the bench even in upsetting situations and shows patience as well. Now, another real test for Stevens will be this coming season, when the Flyers will show whether they are really as good as they were in the playoffs or whether they were playing over their heads. With a couple of new defensemen (Vaananen and Eminger), younger players needing to step up (Downie, Giroux, Parent), no big name free agent additions, and higher expectations based on last year’s playoffs, Stevens will have an opportunity to show how good of a choice this really was.